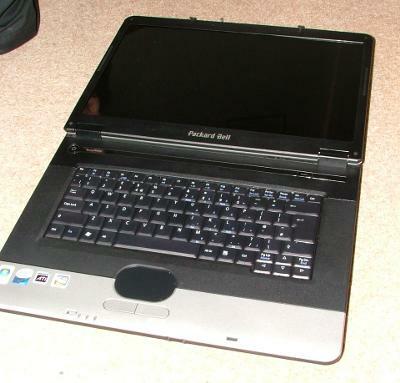 We recently had a Packard Bell Easynote (model identified as ‘Argo C2’ which seems to correspond with Packard Bell series MZ35 and MZ36 laptops) with a broken spacebar in for repair. 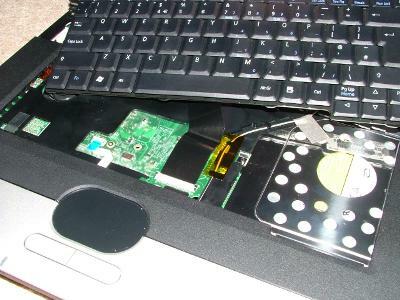 We presumed it to be a complete keyboard replacement job so for your benefit, we detailed the procedure for getting the keyboard off the laptop. Tools required are basically a Phillips head screwdriver of suitable dimensions and a narrow, flat blade or similar prying tool. 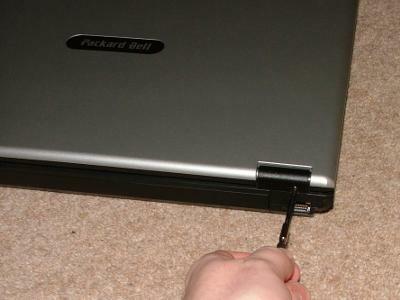 We started out by turning the laptop over and removing the battery. 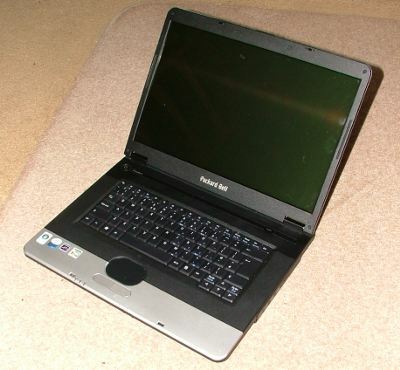 The battery is located on the back edge and has a thumb-operated spring-loaded latch on the bottom surface of the laptop. 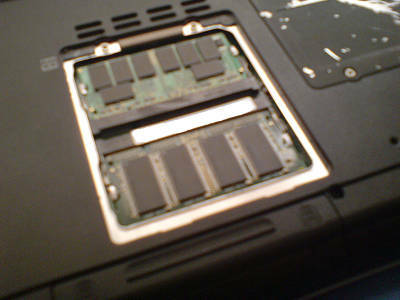 The battery withdraws to the rear. Next we needed to remove the keyboard retaining screw which (IIRC) is marked with a small keyboard legend. 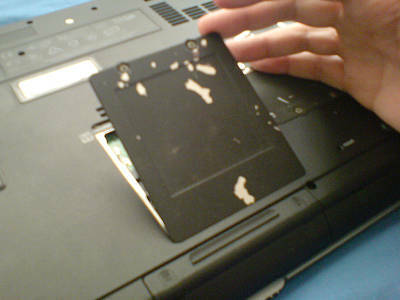 It is found roughly centrally on the underside of the laptop. Note that we had actually forgotten to remove the battery at this point /me smacks hands all round. 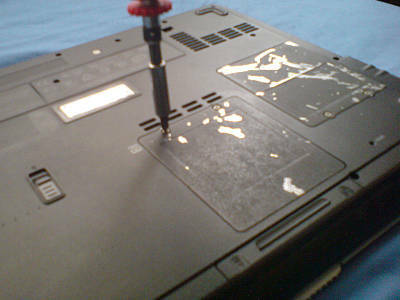 After putting the screw somewhere safe, we turned the laptop back over and with the lid closed, removed the hinge-cover retaining screws from the rear of the laptop. 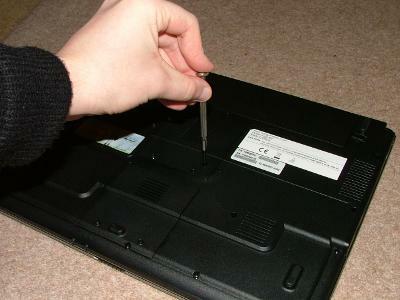 Next, we carefully opened the laptop lid all the way. Once fully open, we used the prying tool to carefully lift the hinge covers which are an integral part of the upper cover on the laptop. 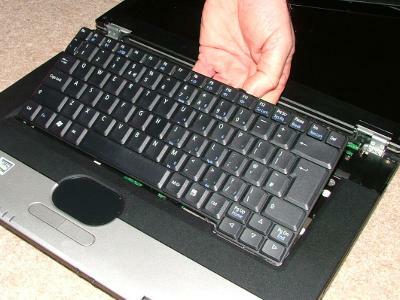 The whole cover should hinge from the keyboard side. We lifted the cover slightly and withdrew it away from the keyboard, towards the screen. 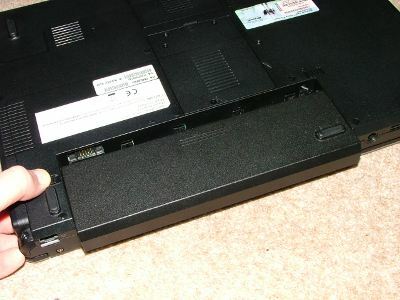 The cover just removed acted as a secondary retaining feature for the upper edge of the keyboard. 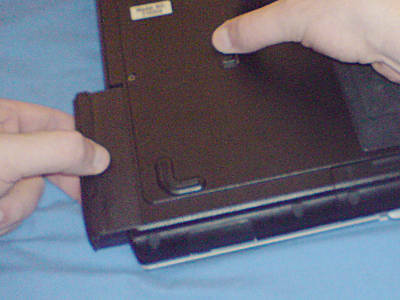 The keyboard was lifted from the edge nearest the screen, slight screenwards motion was employed to release the keyboard from the lower edge. 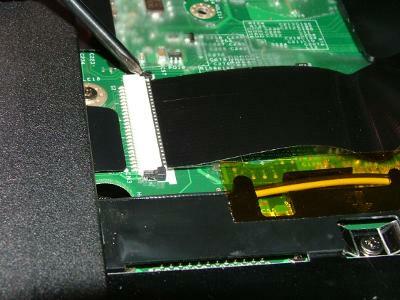 The keyboard ribbon cable is now visible. The ribbon is fastened using a black locking tab/collar. We very carefully release the locking collar with a screwdriver. Usually working it back from each edge in turn works well. The keyboard could now be fully removed. 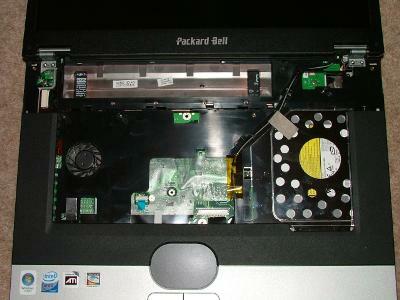 The exposed internals of the laptop at this point are shown below. 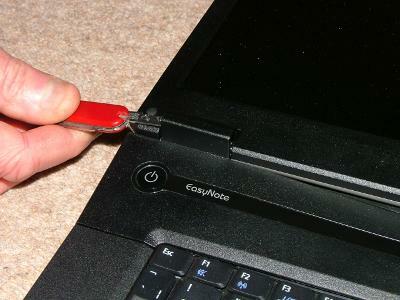 The keyboard refitting procedure is the reverse of the removal procedure. 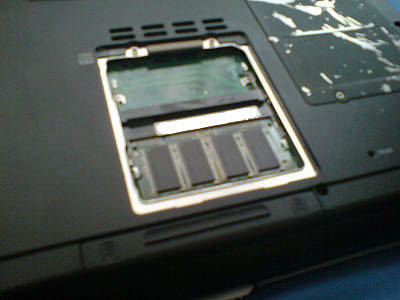 Special care is to be taken when re-seating the ribbon cable and cover clips. The usual disclaimer applies plus the caveat that it was a couple of months ago when this procedure was performed and my memory may be slightly rusty on it. Don’t forget, if your device is still under warranty, you’re best off getting a service call.